You do have a lot of online connections, but how many of them have you met face-to-face? 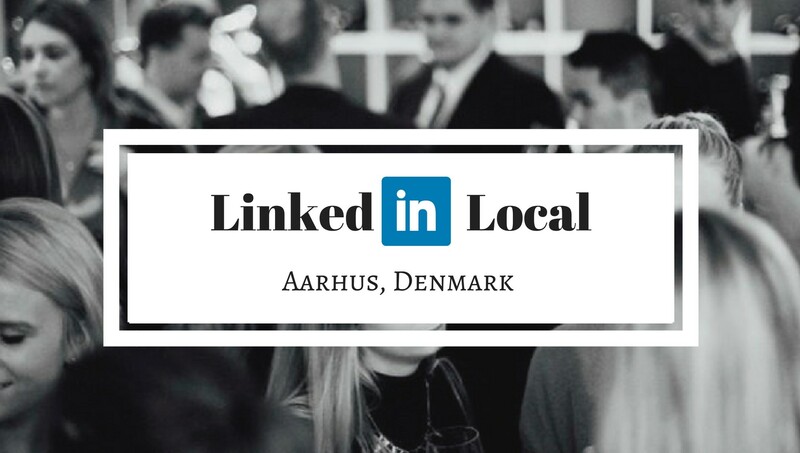 LinkedInLocal is a meetup concept that is quickly spreading from different parts of the globe. The purpose of the event is simple – go from online to offline. It is to gather people from all walks of life, in one facilitated event, to genuinely get to know the humans behind the online profiles, and connect beyond the job titles, business cards and company names. The event is for everyone truly interested in meeting others for no other reason than getting to know them on a personal level, and letting others get to know you, to inspire, motivate and grow each other collectively. What will be the focus of the event? We are “Dreaming Big.” Come and join us and listen to inspiring stories by them who had encountered difficulties, yet continue to dream big. Come and be motivated to overcome your fears and focus on your dreams. Come and be inspired by connecting and learning with others. Vision for bæredygtige fremtider: A vision of growth where people meet to empower, inspire and encourage one another. By sharing our stories, our ideas, our hopes and dreams, we become a part of a collective that contributes for the future. It is now that we meet, that we share what we know, that we help what we could, that we listen carefully to others and that we dream big. Vision for fremtidens by: A city where people thrive because nothing hinders them from going after their dreams. A city where ideas and stories are respected.